The UK is heading for a Hallowe’en Brexit after leaders of the remaining 27 EU countries offered to delay the deadline for withdrawal to October 31. The date was a compromise solution thrashed out in five hours of talks in Brussels in the absence of British Prime Minister Theresa May, after French President Emmanuel Macron held out against a longer extension lasting into 2020. It is proposed that a review of the situation will take place in June. British Prime Minister Theresa May has accepted the offer from leaders of the remaining 27 EU countries to delay Brexit further. She told a press conference the “choices we now face are stark and the timetable is clear” as she urged parliamentarians to “press on with pace in our efforts to reach a consensus”. Most of the leaders at the Brussels summit are understood to have favoured the longer extension of as much as a year recommended by European Council President Donald Tusk. But Mr Macron dug his heels in for a shorter delay, warning that a no-deal Brexit would be less damaging than a disruptive UK remaining in the EU for month after month. Maltese Prime Minister Joseph Muscat welcomed the compromise date, saying: “A Brexit extension until October 31 is sensible since it gives time to the UK to finally choose its way. It is understood the June review will assess UK co-operation during and after the European elections in May, with the possibility of the exit date being brought forward to Mrs May’s preferred date of June 30. She gave a one-hour presentation setting out her case for an extension to June 30, with a break clause allowing the UK to leave as soon as her Withdrawal Agreement was ratified. But she had to leave the EU27 to discuss the UK’s future in her absence over a dinner of scallop soup and loin of cod. It took five hours of wrangling before she was summoned back from the residence of UK ambassador Sir Tim Barrow for her agreement to be sought. Failure to reach unanimous agreement would mean the UK crashing out of the EU without a deal at 11pm tomorrow. But amid increasing frustration with the UK, the EU27 leaders are also demanding strong guarantees Britain will not disrupt the EU agenda while awaiting its exit from the trading bloc after 45 years of membership. Even those countries which were more sympathetic to Mrs May stressed the need to ensure the EU institutions and their proper functioning were protected from any possible negative influence by the UK. Taoiseach Leo Varadkar again supported Mrs May and he signalled there was “merit” in a longer Brexit extension, provided it was not too open-ended. “I want to end the uncertainty which is creating huge problems for citizens, for business, for farmers,” he said. He also questioned the motives of US President Donald Trump, saying he would prefer to undermine the EU. “I think Europe would be better with the UK staying as a member and it would be better for the UK too,” Mr Varadkar said. But he stressed these were matters for the UK. Mrs May has already had to concede to EU demands to hold European Parliament elections on May 23 next. Mr Varadkar said the six-month Brexit extension “should be enough” to finalise a workable divorce deal with the UK. Mr Varadkar also brushed aside suggestions of any significance attaching to the new Brexit deadline of October 31 – the feast of Hallowe’en. “As I learned this evening, Hallowe’en is not a feast day widely celebrated across the European Union,” he joked with reporters. The Taoiseach’s comments came after a tough six-hour special Brexit summit meeting Brussels where EU leaders have fixed a new Hallowe’en deadline for Brexit – insisting it was their final offer. 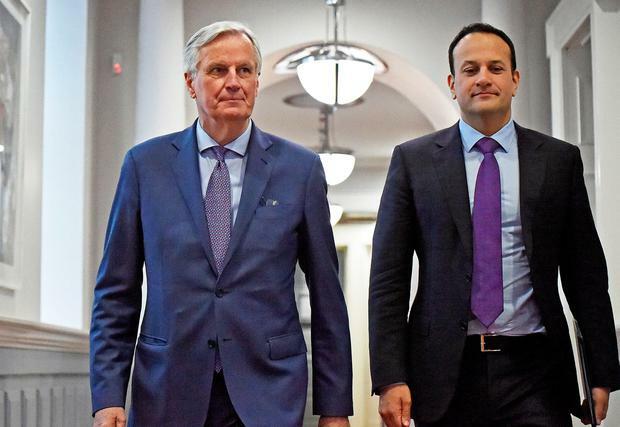 Mr Varadkar noted that the new October 31 deadline spares Ireland and the other economies the immediate drastic fallout from a no-deal Brexit which was threatened for tomorrow. 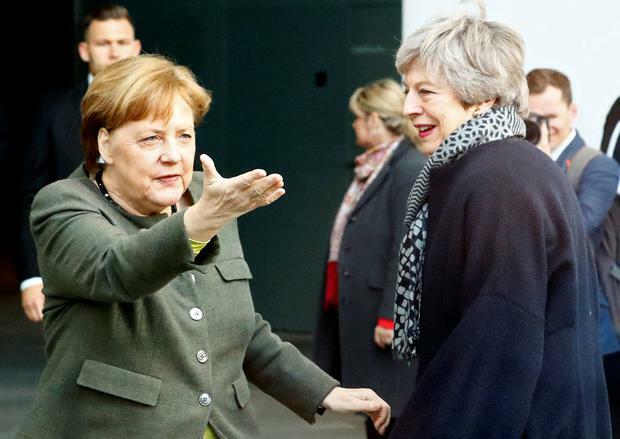 The result came after a contentious late-night EU leaders’ emergency Brexit summit in Brussels which saw French President Emmanuel Macron insist on tougher terms for the UK. Many others among the remaining 27 EU states were ready to concede between three and six months extra to the UK to allow them to resolve the considerable internal disunity among the ruling Conservative Party and the main opposition Labour Party. Mr Varadkar strongly hinted that he favoured a longer extension – but he also acknowledged that three years after the Brexit referendum of June 2016 it was time for the UK authorities to make decisions. “The EU is not a prison – nobody has to stay. But nobody is going to kick anybody out either,” he said. Many states were prepared to let things run until December 31 this year of March 31, 2020. But eventually they agreed a compromise – faced with President Macron’s insistence that nothing had happened in London until immediate deadlines loomed in the past three months. The new arrangement includes a firm demand that the UK hold European Parliament elections on May 23 next – something Prime Minister Theresa May was determined to avoid. It also includes a clause that UK efforts to organise an orderly Brexit will be reviewed in June. The outcome will compound the problems of Theresa May with her own rebellious party members, both ardent Brexiteers and those determined to stay as close as possible to the EU. It will make her increasingly dependent on her rival Labour rivals who are determined to drive things onward to a general election above all else. Here is how figures in the UK and abroad are reacting to the Halloween extension. US president Donald Trump invoked America’s trading relationship with the EU in his assessment. He tweeted: “Too bad that the European Union is being so tough on the United Kingdom and Brexit. The E.U. is likewise a brutal trading partner with the United States, which will change. Chuka Umunna, spokesman for The Independent Group of breakaway MPs, said the extension provided an opportunity for a second referendum. He said: “Unless the main party leaders do a backroom deal to enable a customs union Brexit and deny the British people a say over this mess – a big risk – this extension paves the way for Euro elections +a #PeoplesVote which we must grab with two hands for the sake of future generations. Liberal Democrat MP Sir Ed Davey also called for a second referendum to be held. “Tonight we breathe a sigh of relief: our EU friends offer us escape from #BrexitShambles,” he tweeted. “Enjoy the moment: a key step in a long journey. Tomorrow we push #PeoplesVote even harder. “Let’s get this nightmare behind us & pull UK back together”. Labour MP Mary Creagh, a supporter of the People’s Vote campaign for a second referendum, said she hoped for “sincere cooperation” on Brexit from the Government “after this fiasco”. She said: “People across the UK will be relieved at this sensible extension.